Theatre legend and public relations boss Welcome Msomi is facing additional criminal charges, as well as a civil claim, this time over R344 613 that a former close friend and fellow theatre stalwart claims he misappropriated from her. In an explosive statement published on the Artslink website on Wednesday morning, Dawn Lindberg likens Msomi’s actions to that of a 419 Nigerian scam, saying that he never repaid the money that he took from her and the Naledi Theatre Awards that she organises and serves as chief executive of. The news follows hot on the heels of Msomi’s arrest in Durban on Saturday by the Hawks, and his appearance at the Palm Ridge Magistrates’ Court on Monday for allegedly stealing R8 million from the Living Legends Legacy Programme trust fund, of which Msomi was a trustee. This was after the department of arts and culture provided R20 million in funds to the trust. The new charges were confirmed by Lindberg when City Press contacted her for comment. “The Naledi Theatre Awards have instituted a civil claim against Msomi for recovery of its funds, and I have laid criminal and fraud charges in my personal capacity,” reads Lindberg’s statement to Artslink. City Press has tried to reach both Msomi and his wife for comment or for contact details of a legal representative but both their phones went directly to voice message. It is believed Msomi is still in custody. Lindberg says that Msomi, a former chairperson of the Naledi Theatre Awards, has admitted to and signed accountability for funds he borrowed but never returned. These include R150 000 taken from the Naledi Theatre Awards in 2016, R160 000 borrowed from Lindberg herself, and an additional R24 613 that he asked Lindberg for, due to a fluctuation in the value of the rand with regards the R160 000 payment. Lindberg told City Press she is “heartbroken” as she has known and trusted Msomi for decades. But the news of the R8 million caused her and the Naledi Awards to act. In her statement she explains how the R344 613 was “misappropriated”, at first under the guise of assisting the cashstrapped national theatre awards that theatre workers have kept alive for 15 years through love and volunteering their time and expertise. “In June 2016, Msomi offered to loan R1 million to Naledi from a family trust fund in Scotland in order to stage the Naledi Theatre Awards event, while waiting for funds from the Lottery. To free the loan, however, Msomi requested that Lindberg pay an amount of R150 000 into the account of a lawyer acting for him to facilitate the R1 million being released. As he was acting chairperson of Naledi at the time, Lindberg did not suspect anything untoward, and immediately paid R150 000 into an account provided by Msomi,” the statement read. Lindberg says she was drawn in even further in December 2017, when Msomi called to tell her that he had been granted an amount of $1.5 million “from a benefactor in the US who had won the lottery”. Msomi, feeling bad about the R150 000 he had never repaid, and wishing to reward Lindberg for the work she had done for Naledi without remuneration, stated that he wished to give Lindberg a “gift” of R1 million. She requested that Msomi deposit this generous gift into the Naledi account, so that it went through the correct channels and due procedure was observed. Both Lindberg and her husband Des, a famous theatre couple, were named “living legends” by arts minister Nathi Mthethwa, alongside the likes of Letta Mbulu, Wally Serote, Abigail Kubheka, Esther Mahlangu, Nomhle Nkonyeni, Don Mattera and John Kani. “We are sad and disappointed that a respected veteran of the theatre industry in SA – Msomi was awarded a Life Time Achievement Award from Naledi in 2008 – and a personal friend for several decades, could have abused our trust in such a blatant manner,” said Lindberg. She told City Press the Naledis need the R150 000 more than ever because there wasn’t a cent in the awards’ bank account. Even though the Joburg Theatre is providing a free venue, Gearhouse Splitbeam is providing free technical equipment and support, and a fresh team of theatre experts is judging the awards for free, she has no idea how the Naledis will afford the trophies they plan to hand out on May 20. 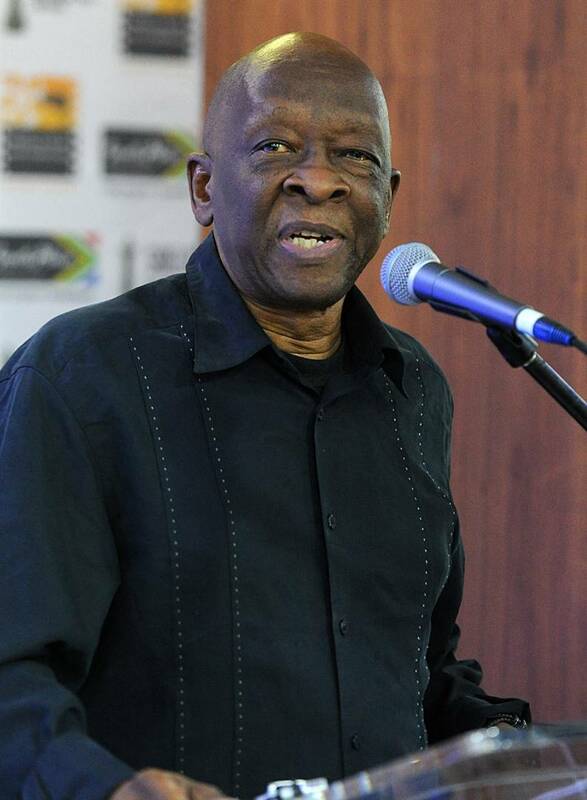 Msomi serves on numerous film and theatre boards and is world famous for his own productions, notably Umabatha. He is also the chairman of Welcome Msomi Communications and a director of Meropa and JNPR public relations firms. He is expected to appear in court again on April 2.